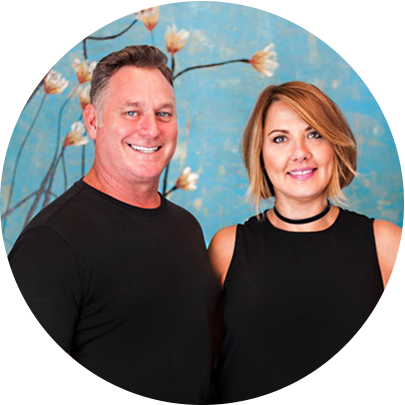 Von Anthony, owners Kerry and Amy Hovland, have created a beautiful canvas to achieve your dream hairstyle. Kerry really wanted a “destination” salon that was different from all others and one that met their level of customer service. He also wanted a better and beautiful place for his wife to work so Kerry designed the salon to be the place of choice for both the client and the stylist. Amy can be described as optimistic, energetic and compassionate. She is a master stylist with over twenty years of experience and she truly has a passion for the business. Her craft and skills have been polished by training with the top industry leaders represented by Vidal Sassoon, Paul Mitchell, Wella, Matrix, Redken, Mizani, American Crew and many others. She has spent 13 years traveling the United States conducting seminars and classes to pass on her incredible training by sharing her knowledge with other stylist. Amy believes that a talent that is not shared is not truly a talent. Amy has been recognized by “D” Magazine as one of the best colorist, “Dallas’ tried and true colorist”. Along with multiple awards from the Regis Corporation she has also been honored as the National Colorist of the Year by Elizabeth Arden and Red Door Salon and Spa.